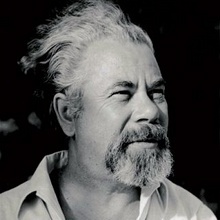 Omer Hadžiselimović lost his battle with a difficult disease. He was born in Sarajevo on January 1, 1946. 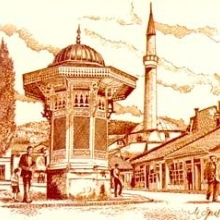 He completed his PhD at the University of Sarajevo in 1978. He had numerous research visits to many universities and institutes across the world including Oxford University in England, Zagreb University in Croatia, Belgrade University in Serbia, JFK Institute in Berlin, Germany, and Indiana University in Bloomington, Indiana. He reached the rank of Full Professor at his Faculty at the University of Sarajevo in 1990. He held the positions of Chair of the Department of English, Vice Dean, and President of the Faculty Council. 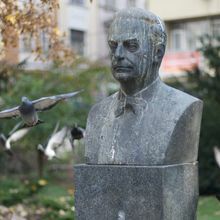 For several years, Professor Hadžiselimović was co-editor of Spirit of Bosnia / Duh Bosne. He helped make the journal become what it is today in its formative period, guarding carefully its character and mission. In this issue, we publish three translations Professor Hadžiselimović did of poems by the well-known poet and friend, Milorad Pejić. Professor Hadžiselimović was always soft-spoken and kind, a true Bosnian in his heart and soul; his legacy will be remembered.